It's touted as Bangalore's (and quite possibly the country's) first drive-thru app. Grabbngo delivers food (for now) to you when you are on the road. Yup, you read that right. The new service is perfect for Bangalore seeing how we spent ages stuck in traffic. And so often during these long arduous journey, we become hungry. 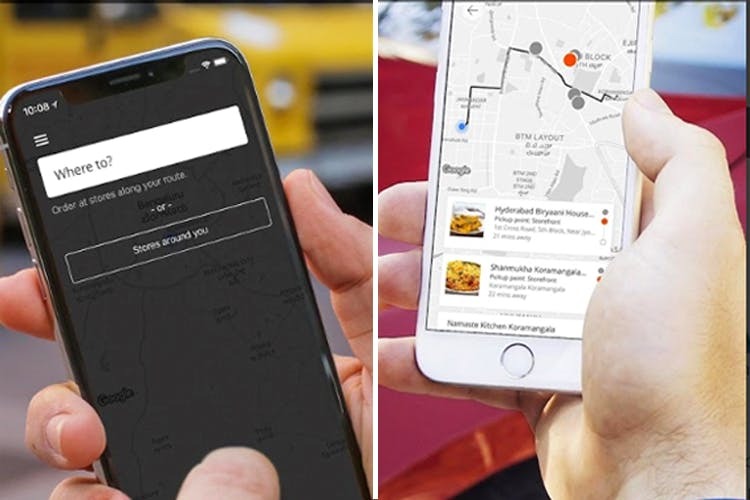 The folks behind Grabbngo are calling their service the first drive-thru service in Bangalore, wherein when you place an order at a restaurant through their app, they will deliver it to your vehicle irrespective of whether you are on a bike or a car. When we tried out the app, the locations shown are mainly Koramangala and Ejipura region, which works out for most of the folks who make the trek between Koramangala to Indiranagar, Koramangala to Sarjapur, and Koramangala to Silk Board, BTM, and Bannerghatta side. Plus, half of the restaurants are clustered around the nightmarish, traffic-centred Sony Signal region, which is a definite winner. Once you have selected what you need, the next step is entering your details such as if you are going to pick it up from the counter or want it delivered to your vehicle. If it's the latter, then you will need to enter your vehicle number and the model (like Indica or Swift Dzire). A token will be generated which you can show at the counter or when the person comes to deliver it to you. We suggest paying in advance to have a quick and seamless grab and go experience. You can download the app here.